Students cannot be awarded a double major in a joint major and one of its component majors. Three elective credits of upper-level Biology courses, to be selected by the student in consultation with her or his advisor. Two successive semesters of Biology 191–192 (Biology Colloquium) and Chemistry 199 (Chemistry Seminar), four semesters total. Joint chemistry and biology majors who study abroad may waive one semester of either Biology 191–192 or Chemistry 199. The student must request the waiver from the relevant department chair, and the waiver must be communicated by the department chair to the registrar. Two semesters (at least 6 credits total) of Senior Thesis Research (Biology 193–194, or Biology 195–196, or Chemistry 151–152). The senior thesis will have two readers, a mentor from one department and a co-reader from the other department. Note: In order to optimize their opportunities and to enable individual flexibility, students may request to count other courses not currently listed as biology electives. 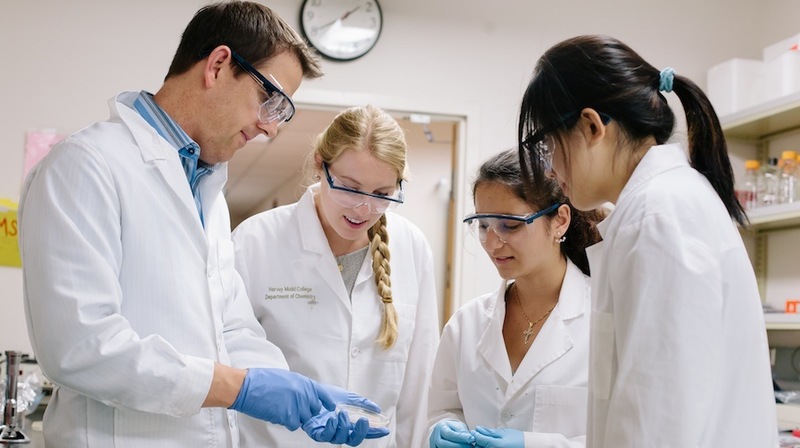 These other courses might include new biology courses developed at Harvey Mudd, cross-listed Harvey Mudd courses (e.g., topics in biological engineering), and appropriate courses offered by other Claremont Colleges. Prior approval, granted by the faculties of biology and chemistry, will be required to substitute electives.